As an adjunct to prescribed diet and exercise for the management of blood glucose concentrations in non-insulin dependent diabetic patients who are inadequately controlled by diet alone or by diet and oral hypoglycaemic agents. 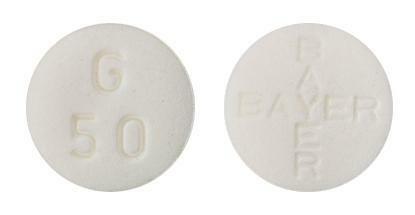 white to yellow-tinged round biconvex tablets, with the Bayer cross marked on one side and "G" and "50" on the reverse. 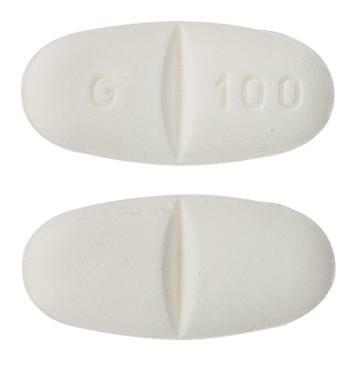 Take with food, at beginning of each meal. As an adjunct to pescribed diet and exercise for the management of blood glucose concentrations in non-insulin dependent diabetic patients who are inadequately controlled by diet alone or by diet and oral hypoglycaemic agents.